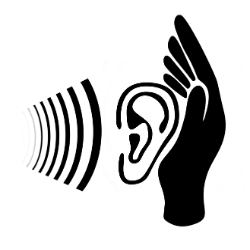 – Want to make sure everybody remembers hearing protection? 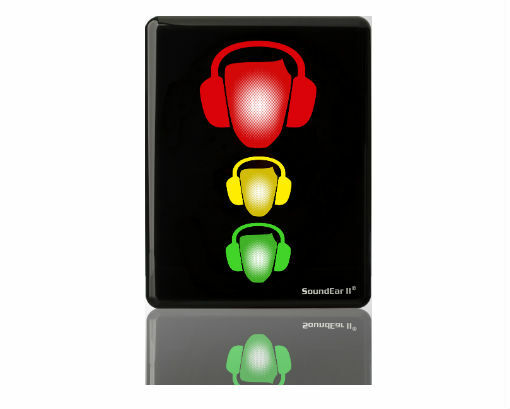 SoundEar II Industry and SoundEar II XL instantly react to noise levels and flash red, when noise levels require hearing protection. This allows everyone to remember to put on their hearing protection. If you also need to provide documentation on your noise levels and want to keep track of your noise levels, we recommend using the SoundEar3 noise monitoring system. 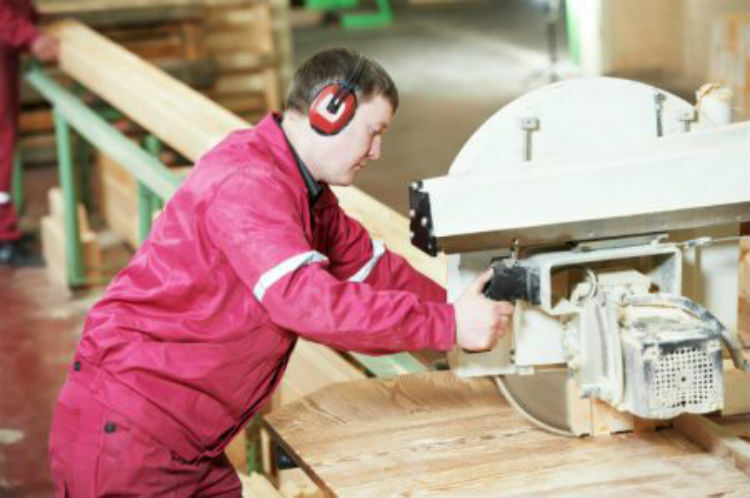 Industrial and construction workers are some of the occupations that most often experience hearing damage. This is also why noise regulations for hearing protection are in place. SoundEar II Industry makes it easier to live up to these regulations. To use SoundEar II Industry and XL start by setting the noise limit on the device by turning the wheel on the back. 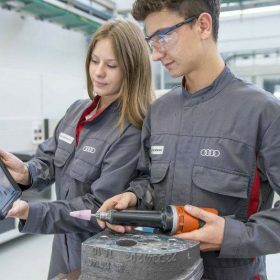 It is highly recommended to set the device to turn red at 85 dB, making sure to follow the occupational noise regulations for wearing hearing protection. 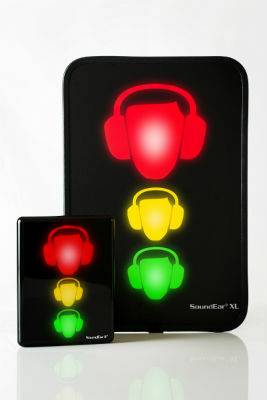 The SoundEar will then start warning you with the yellow light turning on at 80 dB and the red light flashing at 85 dB. Next, find out where to place it. Make sure you find a place, where it is visible. If you have a big space, consider using a SoundEar II XL, because the display is bigger and easier to see. 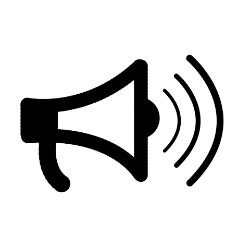 Avoid placing your SoundEar close to any sound absorbent materials such as soft fabrics or close to any noisy machinery, because it can affect the noise measurements. Plug in the device to your power outlet and you can start enjoying the benefits of an instant reminder to wearing hearing protection. The only difference between the products SoundEar II Industry and SoundEar II XL is that the SoundEar II XL is a bigger model. SoundEar II Industry: L: 265 mm W: 205 mm H: 46 mm. Other than that, the two products are identical and come with the same features. It is only a matter of how big a sign you need for your workplace. 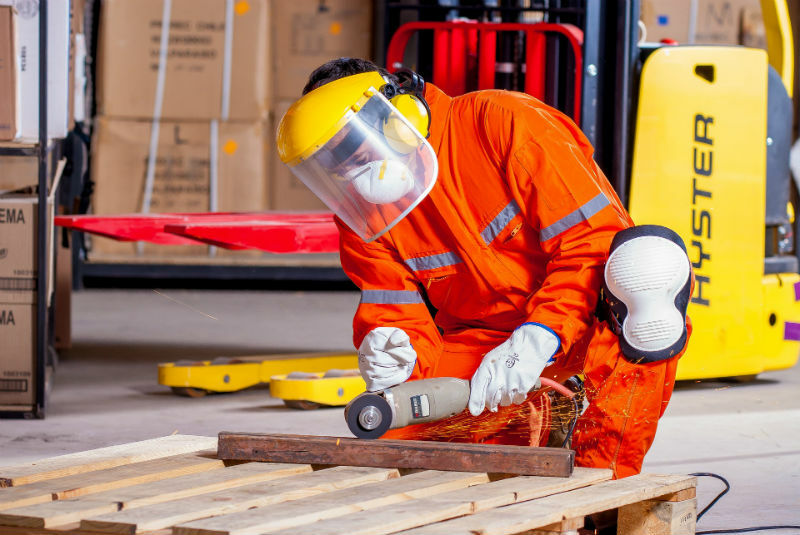 We have put together a guide with 5 simple tips to reduce your exposure to noise in the industrial sector. If you want to have a closer look at how to use SoundEar II Industry and SoundEar II XL, you can download the user manual here. If you want to learn more about the specifications of SoundEar II Industry and SoundEar II XL, you can download the product sheets here.